In an online marketplace Script, buyers and sellers do transactions through a centralized platform. These sort of markets have two particular client groups that depend on one another for goods and services. The way toward growing such marketplaces is generally tedious and difficult to maintain. People share various things on social networking websites like Facebook, Linkedin etc. Moreover, a common person has now chosen to shop online from websites like Amazon, Alibaba, eBay, etc rather than standing in a long queue in the physical market. To help business, organizations, entrepreneurs cope up with these latest trends in the market. EllowScripts has introduced below mentioned clone platforms for manifold business verticals to uphold novice entrepreneurial ideas to let their feet wet in any of these industries and to make huge bucks from the same. Designed with the motive to back startup ideas, these website clones are ready-to-go platforms that need only to be customized a bit and deployed. 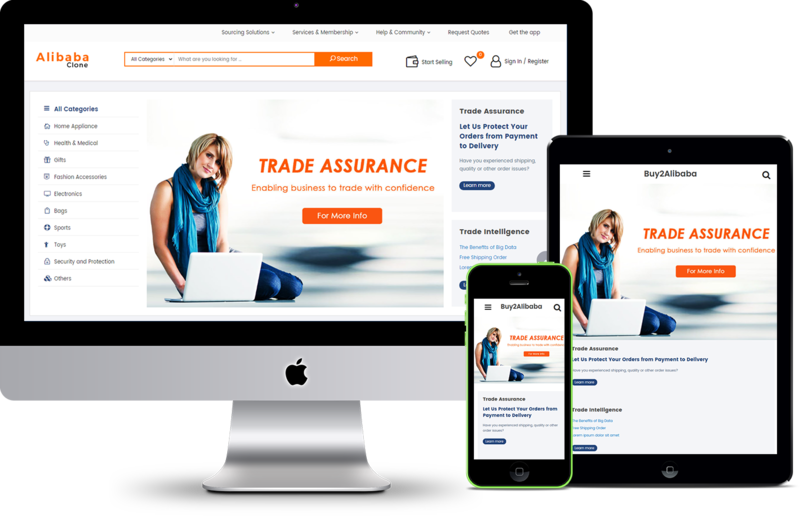 They save you from undergoing an extreme heavy process of identifying market trends, scenarios, website designers and developers and an immense waste of man-hours. In this fastest growing world, people like to shop with cheap deals and better prices. The variety of products and services, with fewer expenses. Then an easy comparison of prices and features of various products, and shop in a few minutes rather than waiting for hours in the market. Considering this latest trends running in the market, EllowScripts has taken a plunge with Amazon Clone. A remarkable multi-vendor eCommerce script that is boon for the business person who wants to kick-start their own eCommerce business similar to Amazon. Amazon Clone fabricated by the professional team of EllowScripts entails all no-frill features for admin, sellers, and buyers. As they have B2B business models to do business with one another, the scope and importance of B2B marketplace platform are increasing every now and then. Subsequently, beginner promoter is looking forward to kick-starting their B2B marketplace rather than the others. Paying attention towards this, EllowScripts has simplified their way with the Alibaba Clone. A power-packed B2B marketplace script that let them get the ball rolling a website similar to Alibaba without any delay. 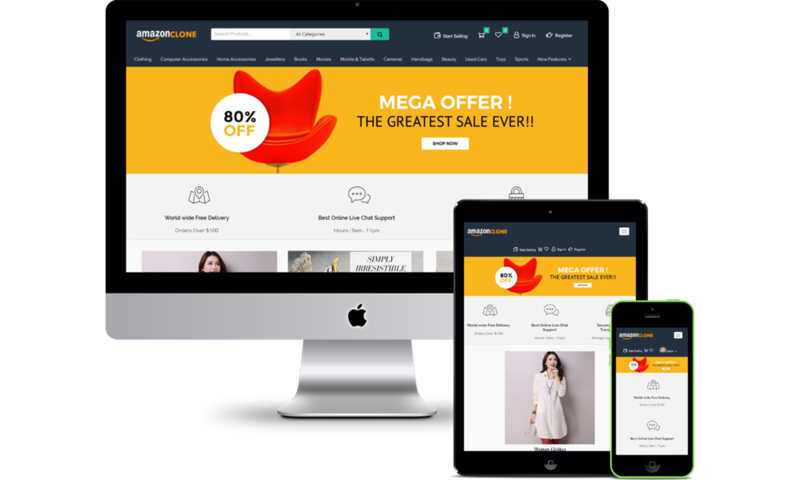 Alibaba Clone developed by the professionals at EllowScripts includes all no-frill lineaments required for the successful B2B marketplace website. TaskRabbit clone the user can simply register their profile to log in. The vendor has to submit the personal information and technical work experience in their field with the proper documentation. After the submission of the required document, the admin will prove the vendors to provide the marketplace services. The user can book their daily work services through our script then they can post their requirement and services. Our script in their product categorized site. Our TaskRabbit script is designed with hierarchal network sitemap, this script also provides job opportunity for the workers to take down through the online service marketplace Script. Ebay is one of the best platforms for business startups. It helps the dealer with increase their online sales. It is the popular way to sell products that customers are searching for. EllowEbay gives an opportunity for developing eBay clone for your online business. 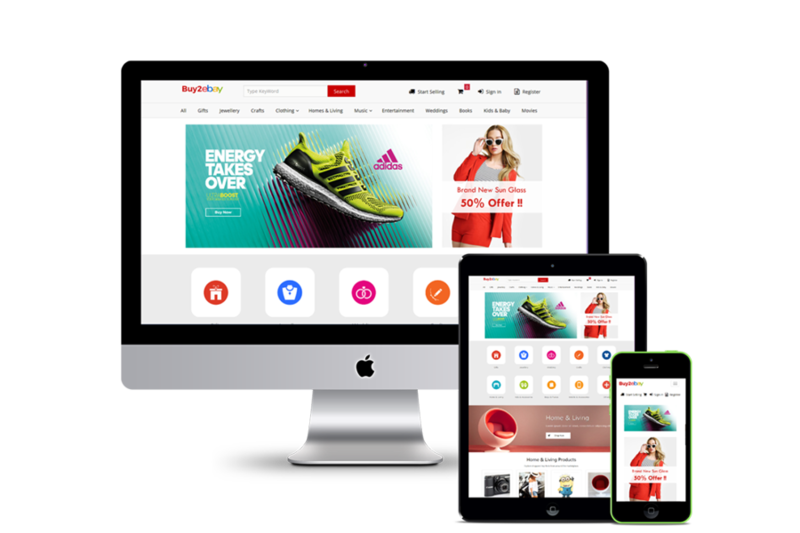 Our team of professional developers is experienced in making eBay clone store for clients and make them reach the online marketplace Script. Ebay Clone is designed and developed to improve your business without manhandling eBay‘s rules. 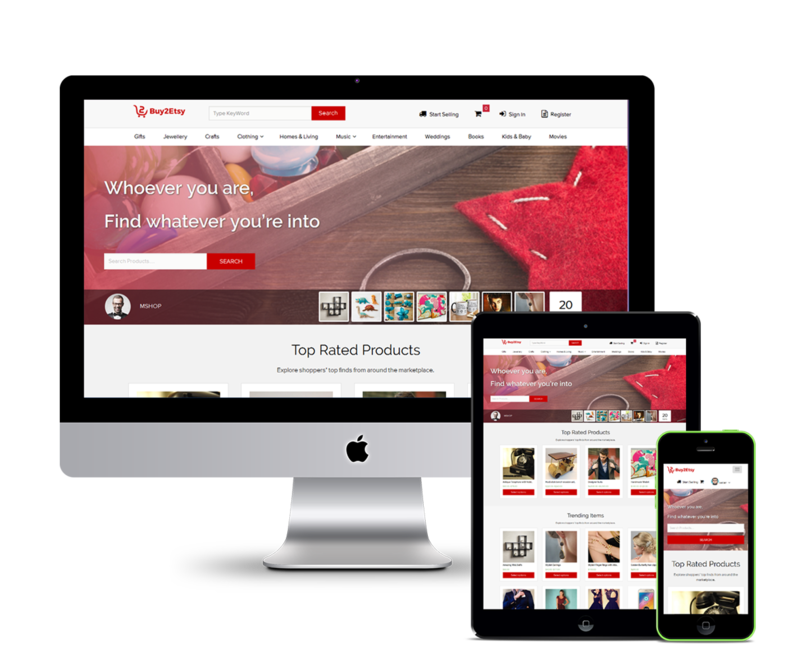 Themeforest marketplace is one of the best digital marketplace websites. If you are looking to build a marketplace theme like ThemeForest, codecanyon, mojo theme, creative market, our Digimonster is a perfect solution. which supports an unlimited number of users. Each of them can both buy and sell themes on the website. Secured payment processing by the world leaders and no storage of personal. 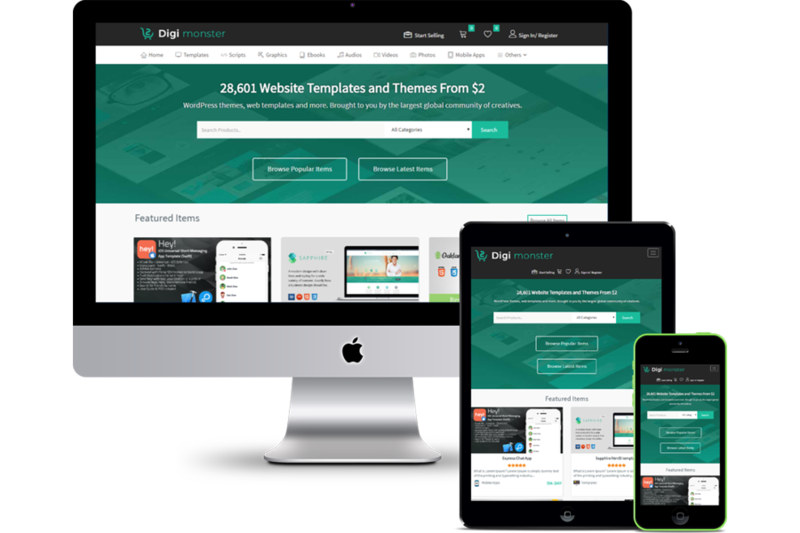 It will make your store a preferred place for template authors worldwide. 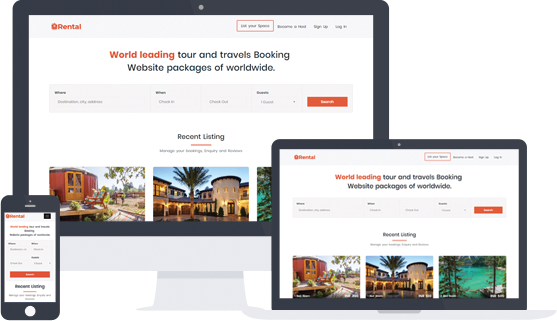 Using our ThemeForest clone script, you can create your own Marketplace Script website today, it is quick and easy to install this script. EllowBnB is an Airbnb Clone Script, which is available on mobile platforms, IOS and Android. It’s a turnkey script that provides the same platform as Airbnb does for booking rentals, around the world. EllowBnB is fast, secure and convenient and much better than uses an independent application. The promoter can profit from a website that works exactly like Airbnb. Because of the turnkey possibilities, every aspect of getting online is worry-free. Aliexpress is an online retail service website which is owned by Alibaba. Do you want to start an eCommerce business? In that case, you have reached the right spot. 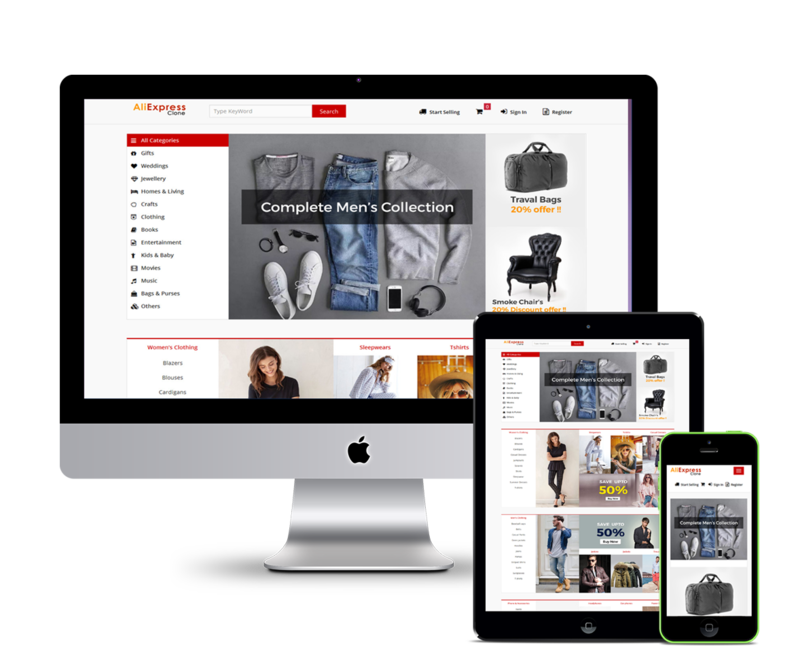 Aliexpress clone script is an eCommerce script meant to establish quality eCommerce business startups. Now, if you are attempting to have a website like Aliexpress, it is time to start work on your startup. An Aliexpress script is a perfect thing for a producer who wants to register their presence in this industry. A robust business infrastructure developed by EllowScripts will secure the support of your business. Etsy Clone is a powerful multi-vendor eCommerce script that kick-starts their own multi-vendor eCommerce website similar to Etsy, Amazon, AliExpress and many more. The platform is beat the competitors giving it a scalable environment to manage sellers and buyers. That permits them to take control in adding, editing the types of products the user wants to deal. It is a happening multi-vendor e-commerce store script that pre-defines the future business needs giving space to more scale-up the business better. As shown above, EllowScripts has show power-packed clones for various business verticals such as freelancing,eCommerce, etc. All the clones have been build in a way that requires an improved set of features. Such as highly managed admin panel, error-free code, SEO friendly URLs, user-friendly dashboards, 100% customizable script, and much more. Don’t wait to write your custom requirements to our team of professionals. We will be more than happy to assist you to set up your business. If any of the industries mentioned above with the feature-rich clones like no one else. For more information on each clone. Our team of business executives will get back to you within 24 hours to discuss more on your dream website.